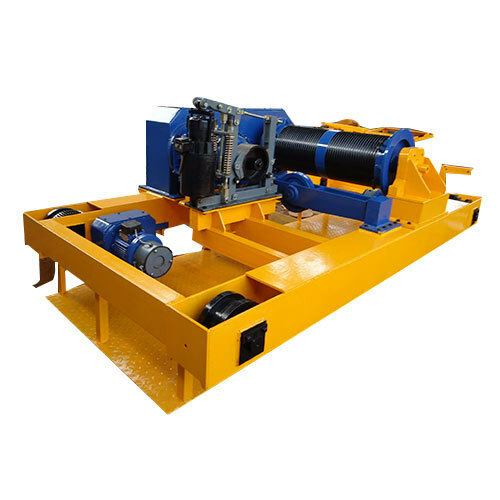 We are one of the leading manufacturers and Supplier of a wide range of Industrial Cranes, Electrical Hoists, Lifting Equipments and Material Handling Equipment in Tamil Nadu. These are known for their precision, design & optimum functionality. We are engaged in manufacturing a wide range of Industrial Cranes, Material Handling Lifts, Jib Crane, Monorail Cranes, Electric Cranes, Electrical Hoists and much more. Fabricated using superior quality raw material and components like MS Sheets, MS angles, I beam, motors, brakes, these are extensively preferred in Foundry, machine shop, engineering industry. We are looking for queries for Material Handling Equipment from Tamil Nadu including Chennai, Madras, Coimbatore, Kanyakumari, Nilgiris, Tirupur, Vellore, etc.